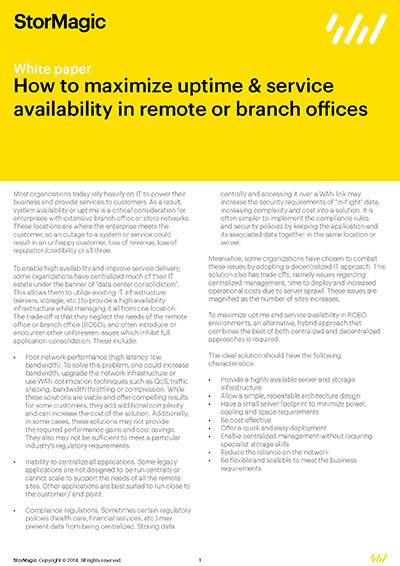 Organizations rely on IT to power their business and provide service to customers, so uptime is a critical consideration for enterprises with extensive branch office or store networks. Most organizations have deployed a centralized or decentralized IT infrastructure, each with their own pros and cons. Centralized infrastructures can provide a high availability infrastructure with central management, but a trade-off is that they often introduce or encounter other unforeseen issues which inhibit full application consolidation such as poor network performance or compliance. Decentralized systems also have trade-offs, namely time to deploy and increased operational costs due to server sprawl. However, there is an alternative, approach which ensures uptime and service availability in multi-site environments while delivering the benefits of both approaches. 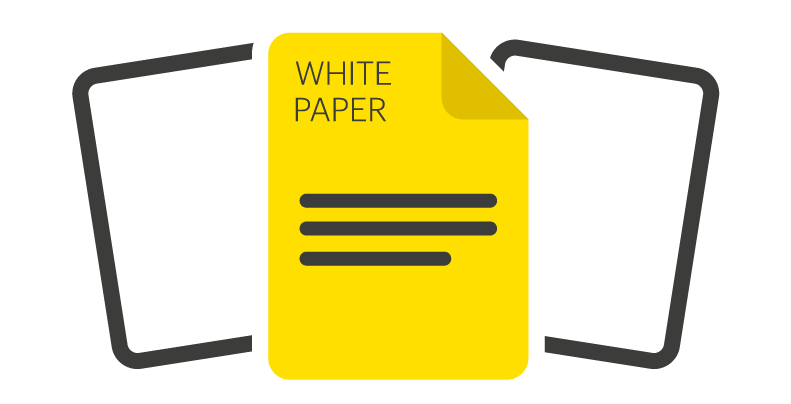 StorMagic and Cisco have worked together to produce this white paper, which outlines the pros and cons of centralized and decentralized infrastructures and describes how their combined solution provides the best of both. What the key characteristics of the ideal hybrid solution are, what the components of such a solution are and how to configure and deploy it.